I’m sure it’s no surprise that, like most folks, we don’t carry a big, fluffy bed pillow with us on our bike travels. It simply isn’t practical. For years, we tried several “camp pillows” only to be disappointed by their lack of real utility compared with space surrendered in the panniers. Most camp pillows we’ve tried over the years were either loose bags of foam chunks or unyielding inflatable ‘head rafts’, it just seemed like no one was making a decent, functional pillow for bicycle camping. Like almost everyone, we’ve historically relied on a rolled up fleece jacket or bundle of clothes in a stuff sack to prop up our weary heads as we slumber. Until now. 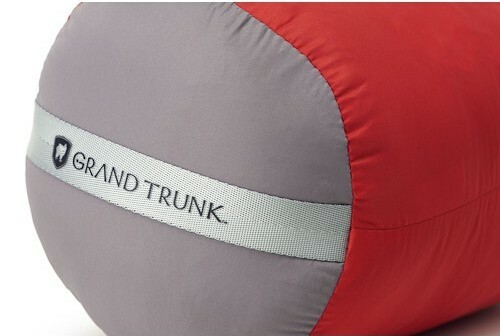 Enter, Grand Trunk Adjustable Travel Pillow. This little guy scratches us right where we itch. Stuffed into an 8″X6″ stuff sack and weighing in at just 12oz, the Grand Trunk takes up the same amount of space as a large water bottle and provides a much needed comfort element to the bicycle camping equation. Unfurled to its full 20″x16″ size, the pillow fits perfectly inside the hood of most mummy-style sleeping bags, keeping it perfectly in place under your head as you sleep. But the real value of the Grand Trunk is its adjustability. Like a sort of Goldilocks of the campsite, we found most ‘other’ camp pillows too hard or too soft. The Grand Trunk Adjustable Pillow is just right, no matter if you like it firm or soft. A drawstring pulls the pillow tight to firm it up for side sleepers, or releases to make a softer, wider pillow for back sleepers. 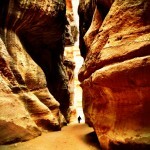 A small drawstring pocket on the underside is there to stow the cord out of the way of your face. The outer material, a smooth, water resistant polyester feels soft against our faces, and never leaves those ‘pillow marks’ that say “I just woke up…” After several nights on a variety of surfaces we’ve enjoyed sleeping on the Grand Trunk Adjustable Pillow as much or more than any other pillow, and certainly more than a sack of rolled up clothes. 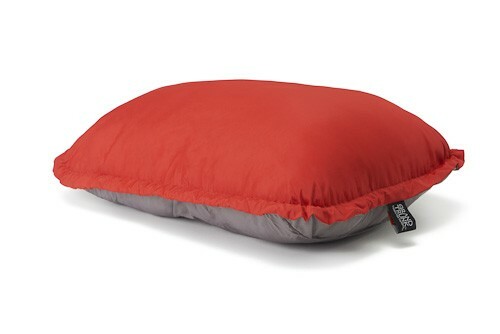 The Grand Trunk Adjustable Travel Pillow is now a permanent part of our bicycle travel packing list. Even svelte bike packer set-ups should have room for the pillow considering its light weight and relatively compact size when stuffed. The solid stitching and high loft poly fill make a comfortable and durable pillow that should give several years of regular use. It’s washable, which is nice, because let’s face it, it’s gonna get dirty. And the $19.99 price is fair considering the great utility that you’ll get from the pillow. Get yourself one of these and never sleep on a rolled up pair of pants again. Full disclosure: This product was provided to us by Grand Trunk for our review and analysis. All opinions are our own. If you or your company have a product that you think would be beneficial for bicycle tourists and bike travel, please Contact Us, we’d be happy to talk to you. If, like us, you’ve spent years sleeping on a rolled up fleece jacket or a stuff sack full of clothes, you’ll want to check out our review of the Grand Trunk Adjustable Travel Pillow. You’ll never sleep the same again. Passionate about bicycling, photography and great tacos, Tyler is always happiest when in the saddle. 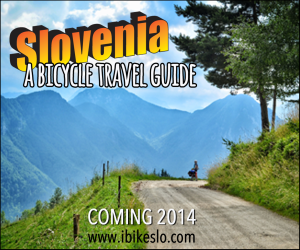 Now living in and exploring Eastern Europe by bicycle, he often spends time analyzing how bicycles can change the face of travel and the economic landscape while planning his schedule around bicycle trips (instead of the other way around). If you would like an opinion or contribution on any of the above, please connect on Google + or contact Tyler .